Call us today with any questions – at 443-203-WAVE (9283) or Register Now. Learn to Surf / Bodyboard / Stand Up Boogie / Skim / Paddleboard Surfing from the best watermen to ever come from the East Coast of the United States. 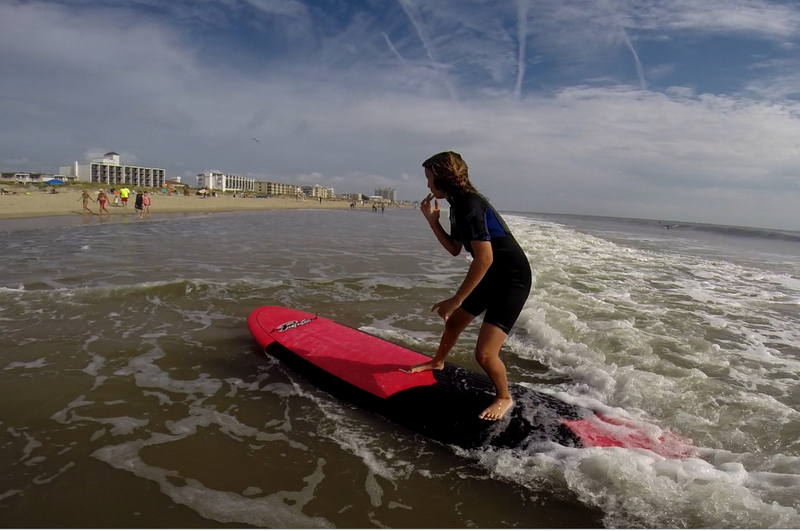 The world renowned Wave Riding School has all your Surf Lessons and other forms of riding waves covered. Why us? 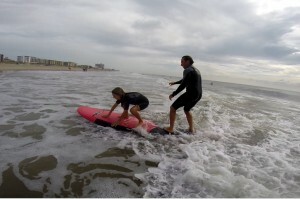 We offer a one of a kind system in learning to surf that maximizes SUCCESS and ensures FUN. After all, fun is the ultimate goal! CALL 443-203-WAVE (9283) for details and book online TODAY. 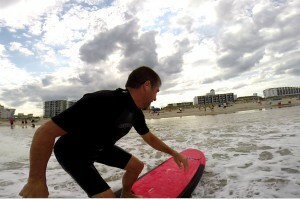 Our team of instructors consist of are of the best known and best skilled wave riders in the country. Our team has traveled the globe competing on a world level. 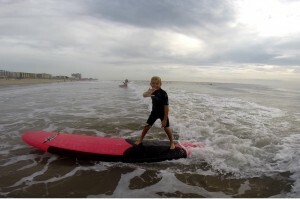 They are now focusing their expertise on helping the next generation of wave riders, YOU. Our experience combined with our one of a kind equipment has made the process as easy as surfing gets. Whether you are young or old, whether you have never touched the ocean (beginner surfing lessons), trying to figure out those tricks of the trade (novice surfing lessons) or you are an advanced rider looking to further your career (advanced surfing lessons / coaching), our team is here to help. Our lessons offer a complete how-to in your choice or surfing, bodyboarding, skim, stand up boogie and even paddle surfing. Everything you want to know, and in the RIGHT order. This is the key to our success. Many people learn to surf the wrong way and that greatly affects their ability in the water long term. Our approach to teaching makes the experience easier than you ever imaged and more memorable than you can believe. The fun starts NOW. All lessons are $85 and last 1.5 hrs (8:30am-10am or 5:30pm-7pm) – CUSTOMIZED TIMES AND PROGRAMS MAY DIFFER. CALL FOR DETAILS. Please note for ALL lessons, ocean conditions are ever changing and lessons can be postponed at any time. I took a lesson over the Memorial Day weekend with Justin and had a great experience. I had been surfing as a kid but probably haven’t been out in something like 20 years. I was able to make a reservation the same day and everyone was really friendly and helpful from start to finish. Justin is a great instructor– after some basics, we got in the water and he had me standing up on my very first wave. (Wipe out techniques are really important, too!) 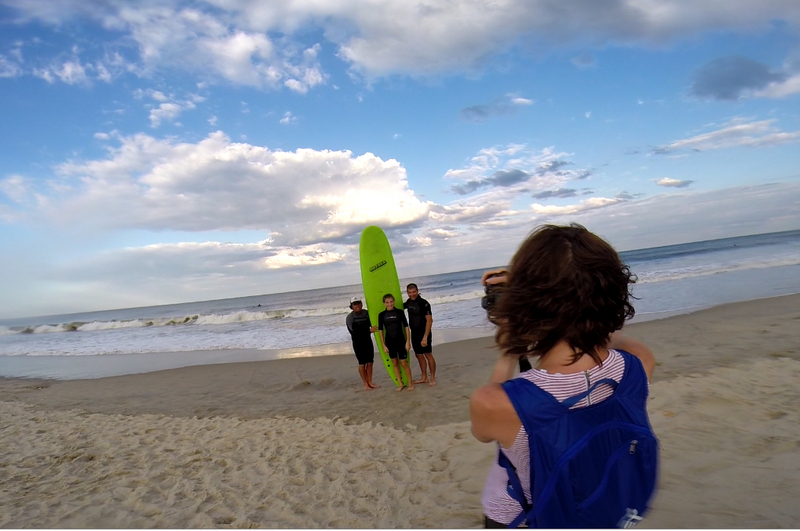 He has a great eye for picking waves and timing everything and made the entire experience really enjoyable. He helped me get to a point where I wasn’t just standing up on a board, but staying up for a good ride. 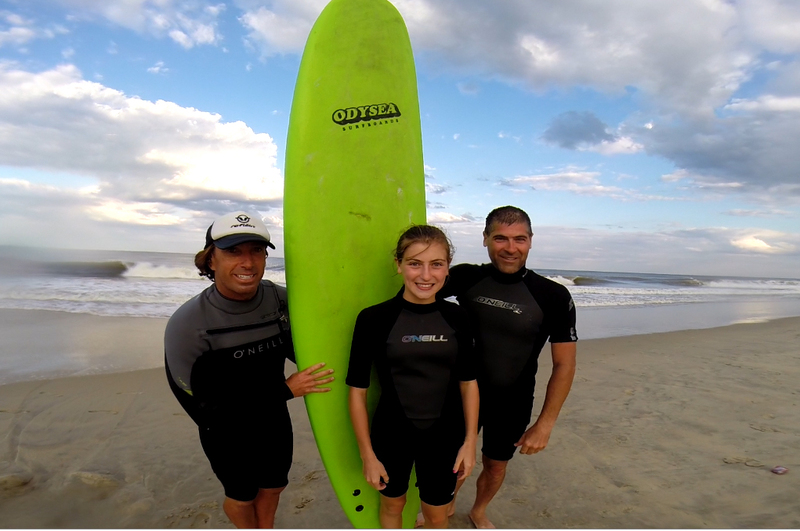 When I get back out to Ocean City next time, I’m definitely going to give these guys a call again– I’d love to spend more time riding waves with some expert help! If you’re thinking about taking surf lessons for whatever reason, check these guys out– you won’t regret it.